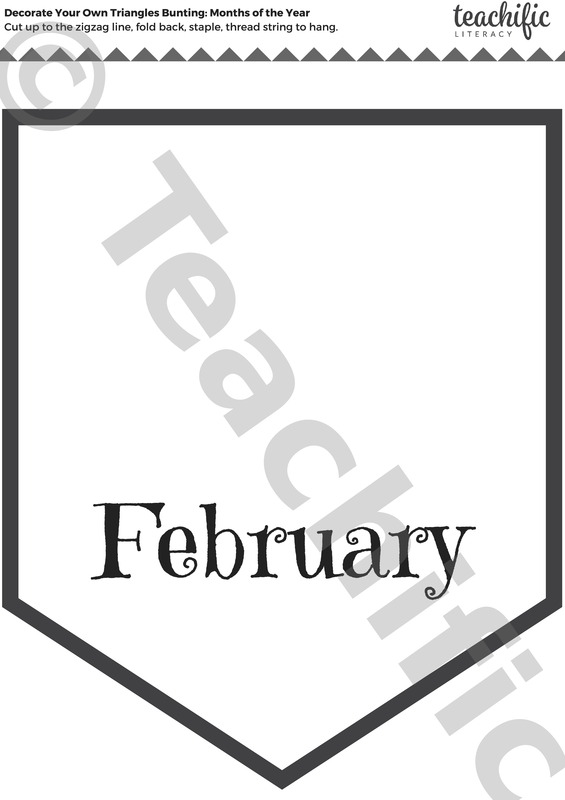 Months of the Year bunting. It could be the answer to limited wall space. 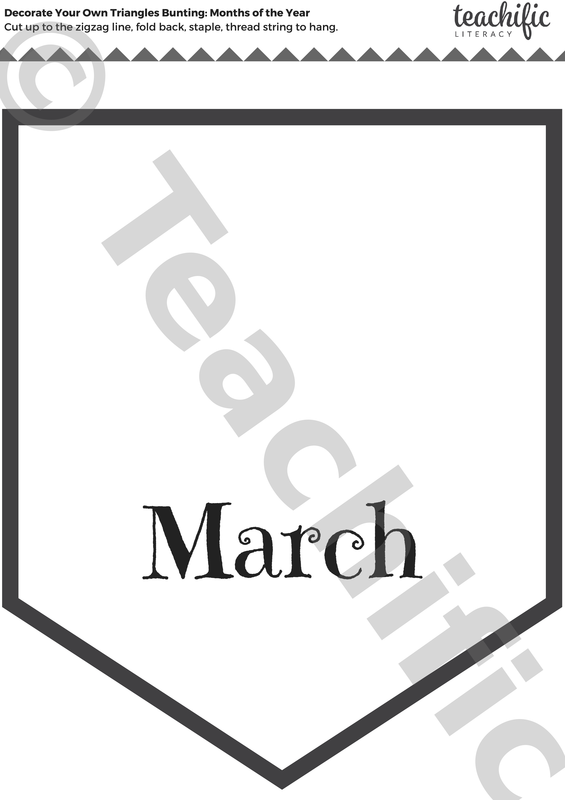 Get creative with your class. 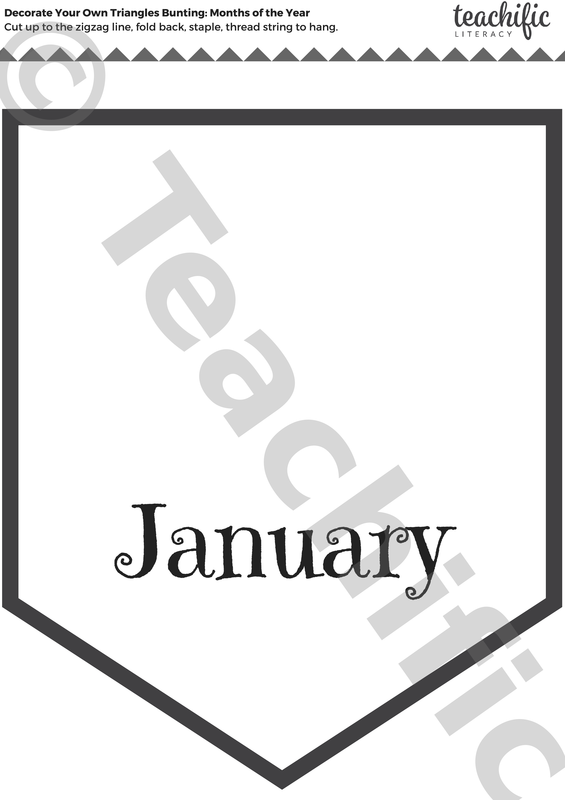 Make and decorate your own class set of Months of the Year bunting before securing it to ribbon or string.